Hollins University is collaborating with Roanoke Valley innovators and an international venture development company to launch new opportunities devoted to entrepreneurship. 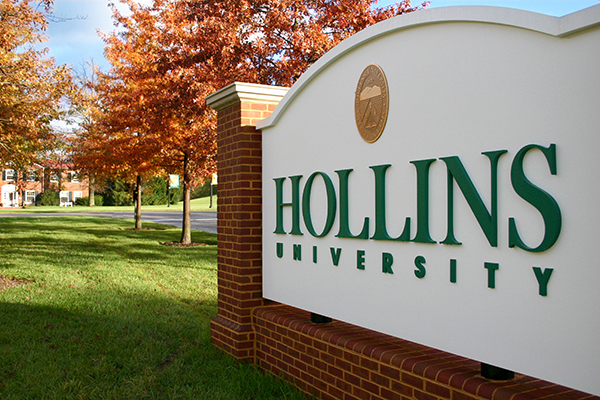 The Institute for Entrepreneurial Learning (IEL) at Hollins University will foster creative and innovative thinking and provide students with the resources needed to develop an entrepreneurial outlook across all disciplines, including the social sciences, business, humanities, fine arts, and STEM. Professor of Practice Karen Messer-Bourgoin, a member of Hollins’ class of 1984, will serve as the institute’s inaugural director. Messer-Bourgoin returned to Hollins in 2017 to impart her extensive business experience from Wall Street to Main Street to the classroom. One of the distinguishing attributes of IEL is that students in all majors and minors at Hollins can take advantage of professional alliances within the Roanoke Valley’s entrepreneurial ecosystem. The Advancement Foundation, Roanoke Regional Chamber of Commerce, RAMP (Regional Accelerator and Mentoring Program), Roanoke-Blacksburg Technology Council, and Roanoke Regional Small Business Development Center are among the organizations participating. In addition, IEL is partnering with prehype, a product innovation firm with offices in New York City, London, Copenhagen, and Rio de Janeiro. “prehype is composed of an incredibly smart team of entrepreneurs with a muscular ad-hoc network of accessible talent,” The New Web reports, while Media Shift notes that the company “brings the creativity and exhilaration of a startup venture into big company structures.” Hollins is receiving an unlimited license for prehype’s Applied Entrepreneurship course and course materials, which will include proprietary sessions covering opportunity identification, problem reframing, signal mining, and other current and relevant topics. The course will be team-taught by prehype staff and Hollins faculty. In addition, up to 10 students each year will have access to prehype’s New York City office for a January Short Term class experience/internship.